Is the matrix important to butterflies in fragmented landscapes? The quality and extent of the ‘matrix’ in terrestrial fragmented landscapes may influence the persistence and behaviour of patch-associated fauna. Butterflies are a popular target group for fragmentation studies and represent an ideal assemblage to explore the impact and role of the matrix in patchy landscapes. To date, there has been no attempt to synthesise available research and assess the extent to which the matrix is included in studies of fragmented butterfly populations. Addressing this issue is important for improved understanding of habitat use in fragmented landscapes, and for the successful management and conservation of butterfly biodiversity. Our systematic review of 100 empirical research papers spans 50 years, and identifies how (and indeed if) the matrix is recognised in studies of butterfly populations in fragmented landscapes. We found that it was significantly more likely for studies not to include the matrix in their experimental design. This is of particular concern given 60 % of papers that excluded the matrix in their research did so in systems where the matrix was expected to contain resources of value for patch-associated species (as it was either a heterogeneous landscape or had similar structure to patches). Of the papers that did consider the matrix, 80 % (n = 24) reported a negative effect of the matrix on butterfly species and/or communities. Matrix effects may influence the survival and persistence of faunal groups in a world increasingly dominated by fragmented habitats. Our review suggests that future research should clearly define the matrix, and incorporate it in appropriate experimental designs. 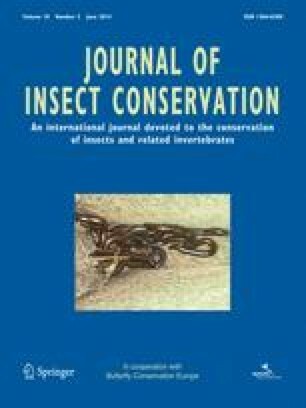 The online version of this article (doi: 10.1007/s10841-014-9641-9) contains supplementary material, which is available to authorized users.